Using a rowing machine regularly will help you to burn calories and tone muscles. A rowing machine workout can burn up to 600 calories an hour which is more efficient than some other fitness equipment available. Combining the exercise with a balanced diet will produce great fitness results. It’s no surprise that rowing machine provide a great upper body workout. They work to exercise the shoulders, upper back and lower back which improves posture as well as producing a stronger back and reducing back pain. Using a rowing machine also works your abs, biceps and pecs so you develop a stronger core. Experienced rowers generally use the rowing machine for a lower body workout. Working the quads in the upper front of the thighs, as well as the calves and glutes. Building these muscles will help you to feel strong and improve flexibility and balance. Step one: How much space do you have? It may sound obvious, but this is an important factor to consider. You don’t want to find your ideal rowing machine, only to realise it doesn’t fit where you want it. So, to avoid disappointment, do the research and find out the dimensions of the machine before you purchase. Once you know how much you’re willing to spend on your new fitness equipment, you can start to narrow down the models to choose from. This may also impact the quality and features of the rowing machine, lower end budgets will be reflective in the machines available. The higher end models with more intricate features are likely to be expensive. Do treadmill desks boost productivity? 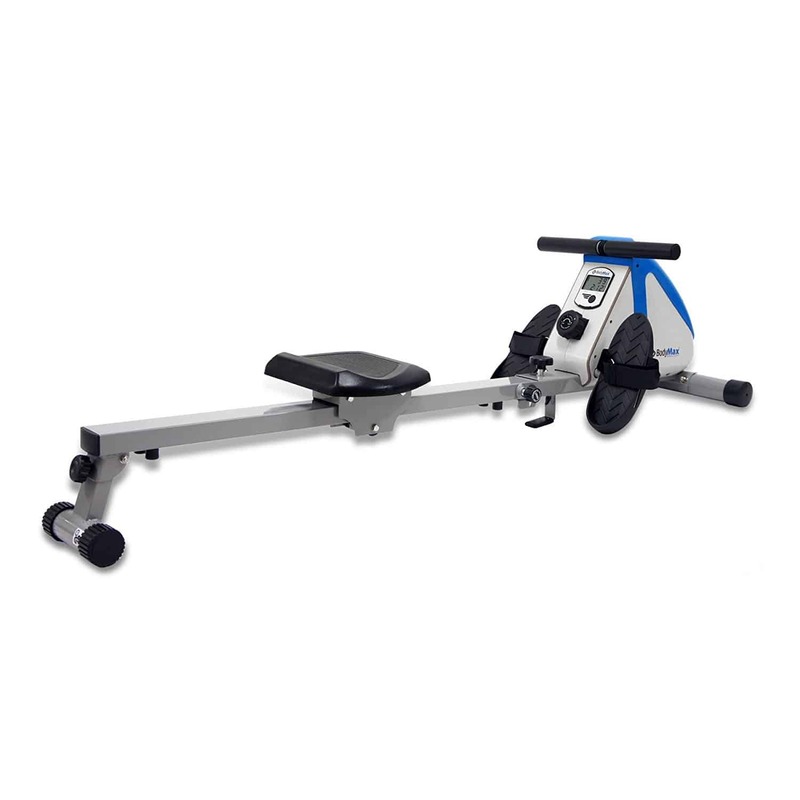 The Infiniti R100 Rowing Machine is a pro level rowing machine which comes with a high price tag. The strong frame can support up to 150 kg and has been ergonomically designed to be comfortable and ensure full stroke range, even for taller people. Choose from 42 exercise programs, including four pulse controlled programs and one race program. The only downfall to this rowing machine is that it is more expensive than most machines, but for that you get a whole host of great features. 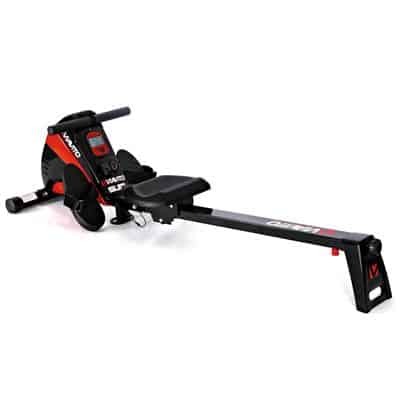 This simple and solid rowing machine offers great value for money. It features 12 hydraulic resistance settings and has high density padded handle bar row ar grips which ensure comfort while you workout. It’s an ideal choice for people who want to work out comfortably and the lower price will suit most budgets. The rowing machine is great for beginners and older users with aliments. It comes with an instructional DVD which guides users through a variety of exercises. The machine is also suited to taller people around 6ft and will fold up when not in use. The downfalls to this machine are that it lacks accuracy on the calorie and stroke counter and isn’t suited to more physically fit exercisers. The Viavito rowing machine has a quiet, smooth and compact design. The features include a 7 kg flywheel, 10 levels of silent magnetic resistance and ergonomic seat and tubular steel frame. The cons are that the LCD console is lacking, only allowing for basic stats which is reflective in the mid-range price tag. 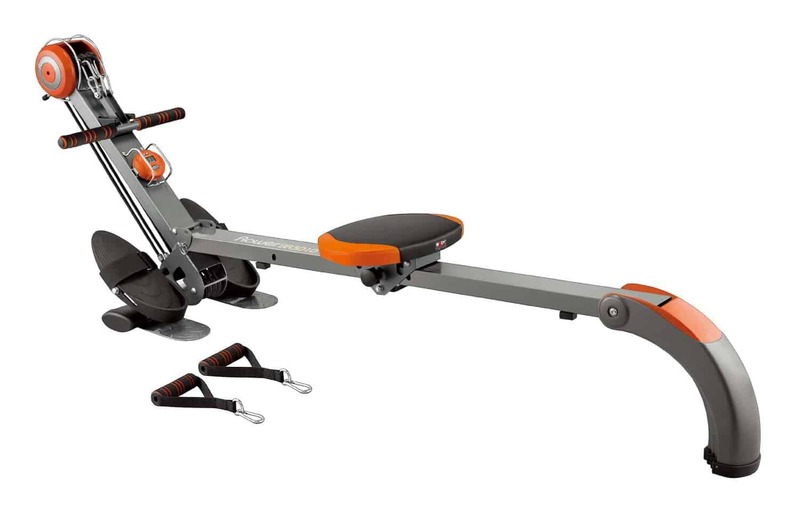 This foldable rowing machine is compact and solid at a reasonable price point. 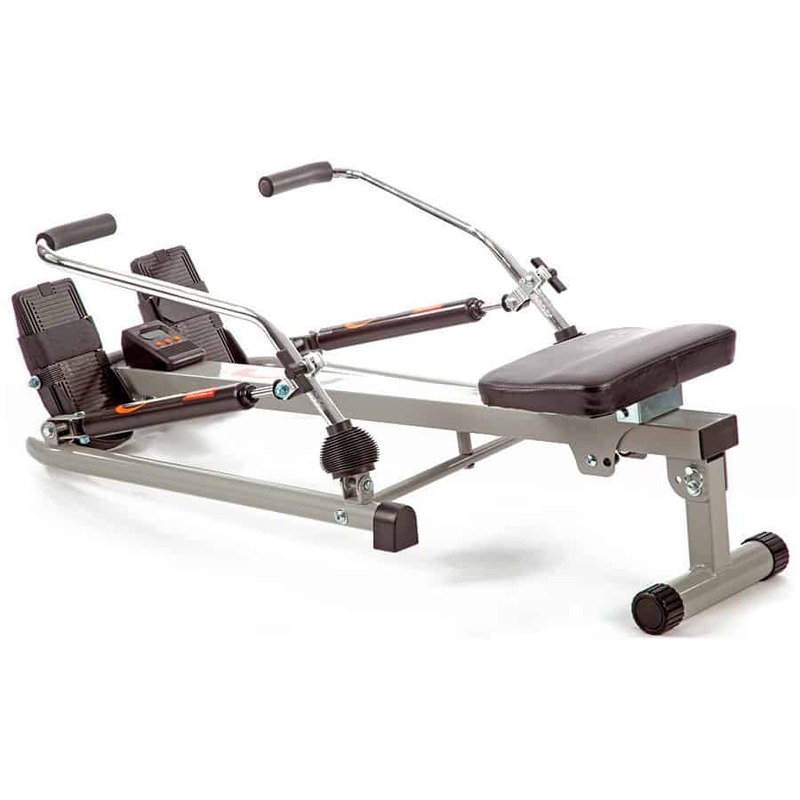 Weider have a renowned reputation for durable fitness equipment and the R60 is no different. It includes features you would expect to see in pro-level equipment, with 8 magnetic resistance levels and a multi-functional console. The cons are that the rowing machine has a limited number of exercises compared to the fully featured alternatives. 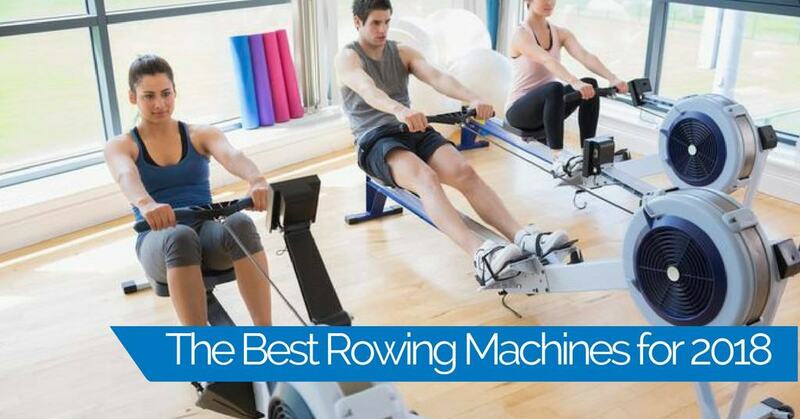 These five rowing machines all offer a number of great features and are great for anyone looking to own their own rowing machine at home. 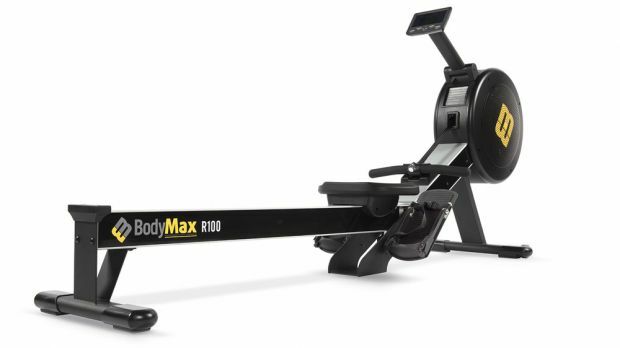 The one which comes top, though, has got to be the most expensive on the list which is the Bodymax Infinifi R100 Super Rowing machine which wouldn’t look out of place in any modern home or gym. It has the most programs to choose from and offers a range of exciting features! It would also be suited to most users.